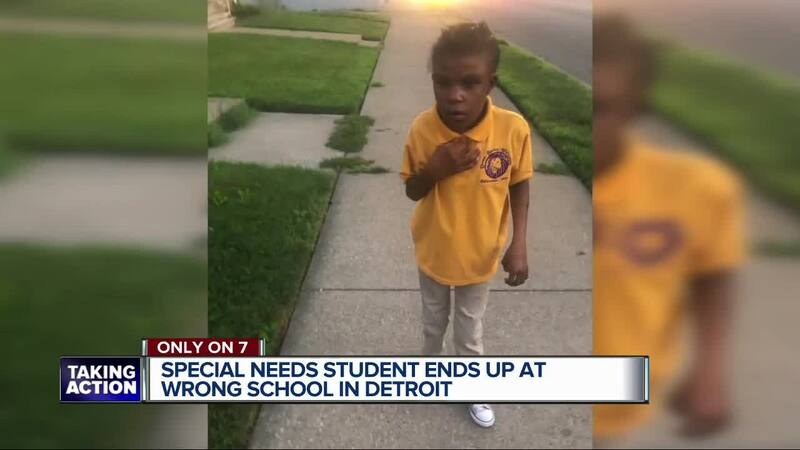 DETROIT — Sherita Mason thought her special needs daughter had been attending Diann Banks-Williamson Education Center in east Detroit, but for the last three days, the school bus has taken her daughter Jerry L White Center in Detroit’s west side. "My daughter, she cannot talk, she cannot communicate where she’s been,” said Mason. Mason’s oldest daughter, 13-year-old Dezeraye Williams, has cerebral palsy. She requires special round the clock care. That’s why Mason always wants to know who is caring for her daughter. It was a few weeks ago that Mason says she toured Dian Banks-Williamson Center, meeting with the teachers are principal. She liked what she saw and says she signed Dezeraye up, even sending her daughter off to her first day of school in a Diann Banks-Williamson Education Center polo. 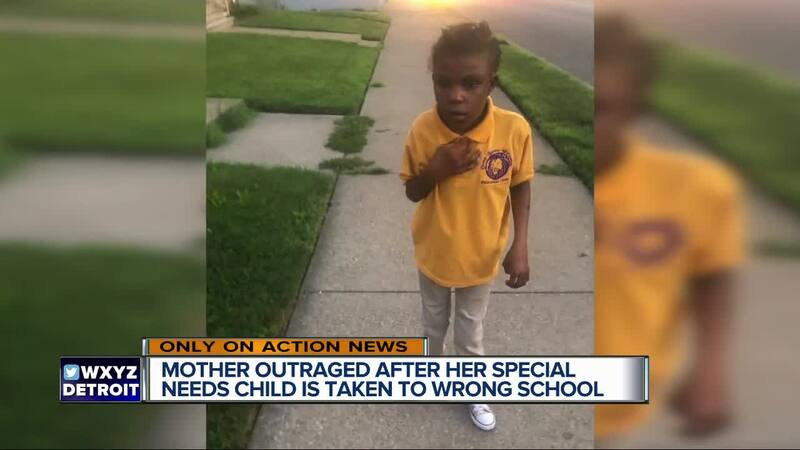 On Thursday, three days after her daughters first day of school, she found out some shocking news. Her daughter was attending a different school than what she thought. “I called Diann Banks trying to change my daughters address for her drop off and they told me that she wasn’t attending the school,” said Mason. The school Dezeraye had been attending Jerry L. White Center, 17 miles away from Diann Banks-Williamson Center and a good 20-minute drive away from each other. Both schools are under the Detroit Public School District system. 7 Action News reached out to DPS, and they did not provide a statement, but told us over the phone they were under the impression Mason had signed Dezeraye up to Jerry L. White Center in person, signing paperwork at the school. "I never step foot inside of that school, never,” said Mason. A representative with DPS says Dezeraye got the proper care while attending Jerry L. White. Dezeraye will now switch schools and attend the school she was supposed to go to in the first place come next Monday. However, Mason wants this incident to serve as a warning to other parents. "I have warned parents, I don’t want parents to feel the way that I felt. I want the parents to always know where their kids at all times. Should no parent have to go through that,” said Mason.